Bowling first, Tim struck twice early to have the visitors on the back foot. Some solid batting through the middle overs was countered with some exceptional slow bowling. 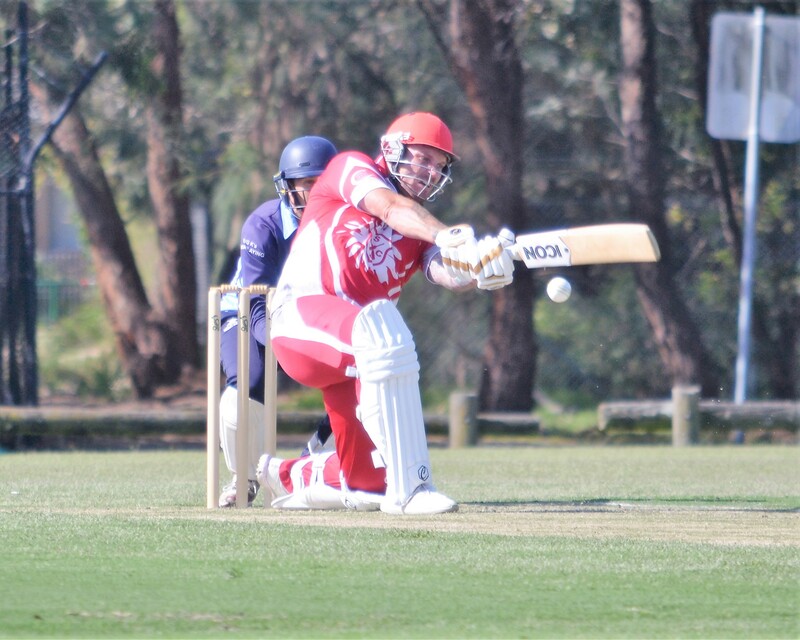 Nath closed out the innings taking 2/17, as we held Buckley to 5/183. This was an excellent effort from the bowlers, as we were missing Jarrod, and Spolly’s bowling. Chasing the target, Nath rode his luck (a few times) to compile an entertaining 52.He was probably a bit stiff to be caught in the end. Spolly was in good touch, finishing unbeaten on 59. Slocs (26no) hit the winning runs with 5 balls to spare. There were plenty of contributors to our total of 7/263. 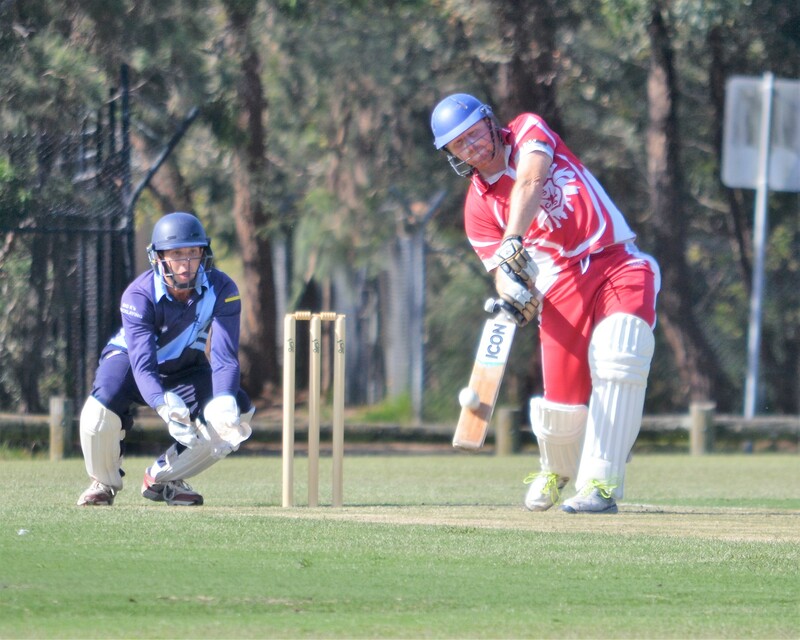 Omar (41), Harry (59), Henners (48) Brayden (30) and Cal (46) were all among the runs. Our total looked a bit skinny early on as the opener blasted his way 61 in a hurry. When Harry (3/23) dismissed him, much of the firepower went with him. Cal fought back well from the early onslaught to finish with 4 wickets. We claimed the points, dismissing Buckley for 195. We were set 263 for the victory by the hosts. A classy knock from Rory (106) and good support from Ranel (28) saw a century stand for the opening wicket. The run rate required was too much for us, and we finished well short of the target..
We bowled first and Hampton Park made there way to 1/73 without a lot of struggle. The game was turned on its head when the ball was thrown to Karan, making his debut for the Bloods after relocating from Alice Springs. His four overs netted 6/10, with a hat trick thrown in. Braden wasn’t shabby either with the pill, taking 3/7. We chased down the 103 needed in 15 overs. Braden (32) and Gilly (36) set tone. John Knapper (10 from 2 balls) saw the end in sight and wanted to get there quickly. There were some terrific figures returned by the bowlers as we held Berwick Springs to 117 from their 45 overs. Aarons 10 overs went for 1/11, Iglesias claimed two scalps and Josh O’Neill’s spell finished with 4/22. We won the toss and thought we might bat. As we walked to crease we were told we couldn’t use the ground and we had to leave. The result was 22 disappointed kids, and quite a few adults. We will have a one day game next week.